Hello everyone! One of my great blogging pals, Beth, came to visit me in Edinburgh! She came up on Tuesday afternoon and I met her straight after my last exam. What a great way to celebrate. We started off by climbing to Arthur's Seat which offers a great view of the city. I hate to admit that I've never climbed it before but I'm really glad we did because the view from the top was amazing. I will definitely be doing it again! Then we went for a quick dinner at one of my favourite Italians, Rigatoni's, before doing a little mini pub crawl. We started off at Brass Monkey, a rather famous studenty pub. Then we tried to go to Frankenstein's but it was really busy so we went to Vodka Rev instead. Where I got a bit drunk, sorry Beth! The next day we started off bright and early and headed to the National Museum of Scotland. If you are visiting Edinburgh then this is the one place I really recommend you go. You could easily spend the whole day there just looking at everything to see. We wandered around for a few hours before heading out to lunch. After that, we went to Edinburgh Castle. We didn't actually go to inside it because its quite expensive to get in but we walked up to the Royal Mile to it and had a wee look around the town. After this we headed back to my flat and chilled out for a bit before Beth went home. 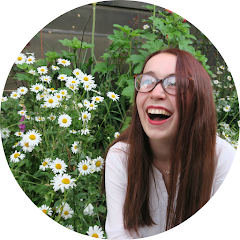 She is an absolute wizard and added a sticky navigation bar to my blog! What do you think? Beth also runs an Etsy and we exchanged some gifts from our stores. I will be blogging about what she gave me very soon, what a lovely girl! I don't know if you've ever met up with another blogger but if you haven't then you are seriously missing out. It doesn't even feel like meeting a person for the first time because you feel like they are already an old friend. Thanks for a few great days Beth!